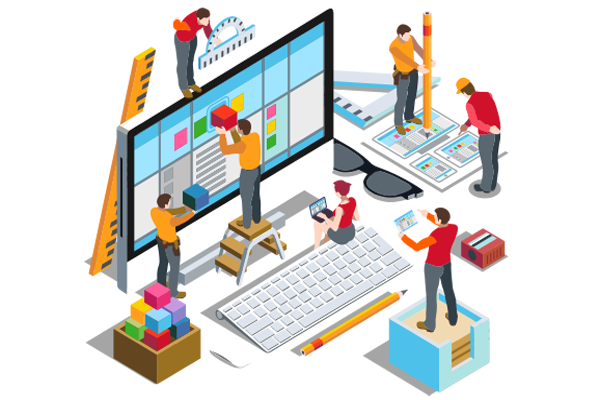 The primary objective of UX or User experience and UI or User interface development and design is to deliver a simplified user experience. At OSI we look forward to taking a user-centric design approach for the various products we develop for our clients. OSI is one of the best UX or UI consulting firm adopting not only the structured processes right from wireframes, blueprints, mockups to prototypes but can infuse life into their designs. We focus on the core needs of our end users and is considered to be the central part of the process for developing the best user experience at OSI. In simple terms, our core strengths lie in our designs simplicity yet sourcing exhilarating and ultra-modern experiences to our clients. The user flows perfection and fitness in every design element is what we seek to achieve through our skilled team of developers and designers. Many people think that user interface and experience designs are just screen colors and orientation, but they are much more than the same. The user experience and interface are one of the best tools for bringing consistency to your mobile website or application. From the font and text sizes to the icons and various visual components to be used in designing your application do require a certain level of consistency when it comes to the synchronization of style, font, and colors used in the design. These parameters once put together brings out the uniqueness in your application or website design. The consistency throughout the application creates easy navigation throughout the site and also increases the usability of the site or app. With the beautiful user interface and experience of your mobile application design perfects well and increases the flow off of your clients and will help you to retain them as well. The impeccable web or app design can give your firm an upper hand over your competitors running similar businesses. The smooth and synchronized user interface and experience allow your clients to return to avail your services. The traffic directed to your platform due to the services provided by you will give you an edge over your core competitors. Do know that complex designs result in many customer complaints. This is one of the reasons why we look forward to preparing simple yet self-explanatory designs for our clients. At OSI we strive hard for creating a perfect platform for our clients so that can function well and retain their old clients while attracting the prospective ones. Look forward to making sure to discuss your projects with our executive to receive the expert's advice at a nascent stage of your venture.